Whaｔ's New?Show posts in this category. 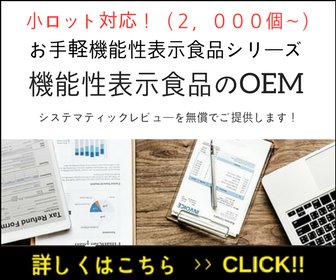 健康食品OEM【ブログ】Show posts in this category. 知って得する！健康食品マーケットの裏事情【コラム】Show posts in this category. 「健康食品」を巡る歴史の旅Show posts in this category. そうだったのか！専門用語辞典Show posts in this category. シニア市場を切り開くShow posts in this category. 健康食品に対する意識は10年でどう変わったか？Show posts in this category. 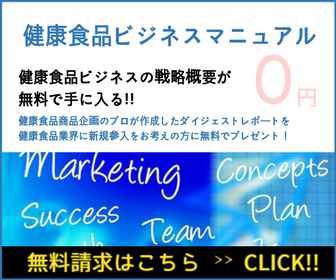 売れるサプリの条件Show posts in this category.